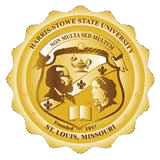 The HSSU Public Safety Office regularly publishes crime prevention tips and personal safety information to keep students and employees informed. The Public Safety Office provides crime prevention bulletins throughout the year. These bulletins offer safety reminders and alert students and staff to particular problems that may arise. In addition, Public Safety Officers advise students and staff of crime prevention measures in the course of their patrol duties. Inform students and staff about the prevention of crime. BE PROACTIVE ABOUT YOUR SAFETY AND KNOW THE RESOURCES THAT ARE AVAILABLE.